More than 600,000 South Asians live in Metro New York City. The majority of them come from Hindu, Muslim, and Buddhist backgrounds. Acts 1:8 commissions us, the Church. If we really care about the nations that are coming to our shores, then we should have churches started among these peoples. I am excited about what God will do through the Bishops and the Jackson Heights Church Plant! I am very excited about what the Lord is leading my friends, Adam and Erin Bishop, to do in His kingdom! 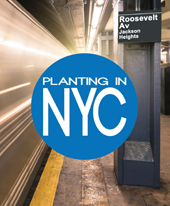 Having served for a number of years in New York and knowing that they are planning to plant in the Jackson Heights area of Queens, I just know that their work is going to have such an amazing eternal impact. Adam and Erin will truly be doing international missions in North America. 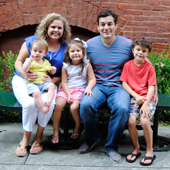 We are so excited to have Adam and Erin Bishop join our team! They will serve as lead church planters coordinating Bible Study groups, teaching ESL, and training workers. They will work with a team of eight other church planters to impact Jackson Heights for Christ.